A monthly Welsh language religious periodical intended for the Sunday schools of the Baptist denomination. The periodical's main contents were denominational news from both home and abroad, articles on the denomination's history and reviews. The periodical was edited by the minister and author, Benjamin Evans (1816-1886) until September 1864, and subsequently by Benjamin Evans and John Rowlands, Llanelli. 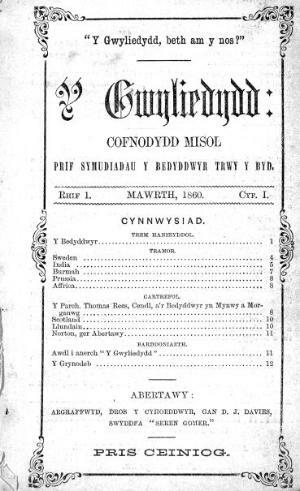 Associated titles: Y Gwyliwr (1869); Y Gwyliwr (1870).